Proverbs 17:2 A servant who deals wisely will rule over a son who acts shamefully and will share the inheritance as one of the brothers. The obvious first application to be noticed here is how this pictures redemption. Those who hear and believe the Gospel, are given the power to become Sons of God. Though we are but servants to the Creator, we become adopted sons and daughters through the Cross-work of Jesus: “He came to his own, and his own people did not receive him. 12 But to all who did receive him, who believed in his name, he gave the right to become children of God, 13 who were born, not of blood nor of the will of the flesh nor of the will of man, but of God.” (John 1:11–13) The glory of this mystery is unfathomable. We are not just adherents, members, citizens, creatures or worshipers, we are children of the most high, in a relationship to God the Father as close to that of the second member of the Trinity as we can be, without actually being divine ourselves. And this, due to the fact that the Gentiles are grafted in to the promises of Abraham through faith in Christ Jesus. “Hear God, and inherit all He promises” is the call. Even if those to whom the promises were originally given failed to obtain it. “What then? Israel failed to obtain what it was seeking. The elect obtained it, but the rest were hardened” (Romans 11:7). What an amazing salvation we have in Jesus – and to what heights of walking within those realities and privileges ought we to aspire. But secondly, we have an historic record of how this principle plays itself out in the most tragic of ways. Moses had two sons, Gershom and Eliezer. As Levites, they belonged to the priestly class. Yet it fell to neither one of them to take Moses’ place. That honor goes not to one of the sons – but to the servant, Joshua. Joshua who distinguished himself in his wise dealing and seeking after God in his service to Moses all his days. On a side note, this is a caution about building ministerial dynasties in the Church today. Being someone’s son or daughter gives no one some spiritual right to a ministerial position, any more than being a son or daughter automatically excludes them. But each must stand on their own record of seeking and following the Lord in fidelity. This is extremely important. From the time of Moses’ grandson, all the way until the Assyrian captivity of the northern tribes, idolatry had been tolerated among some of “God’s people”. As it appears, Moses’ own offspring at the very least had no counter influence to be noted against this idolatry, and at worst, they were complicit if not participants as the text would seem to imply. And all this happened while The Tabernacle was still present among them and in full use. It is positively mind-boggling. But this too is not without an example of astounding grace and patience on behalf of our God. For The Lord will wait hundreds of years before sending the Assyrians to devastate them over this unrepentant use of idols along side of claiming to serve the Living God. They will still be part of Israel’s united kingdom under David’s leadership and halcyon era of Solomon’s. All the while, this corruption is never addressed by them, never abandoned. How tragically sin makes its appearance, indeed builds its own tent along side of God’s. 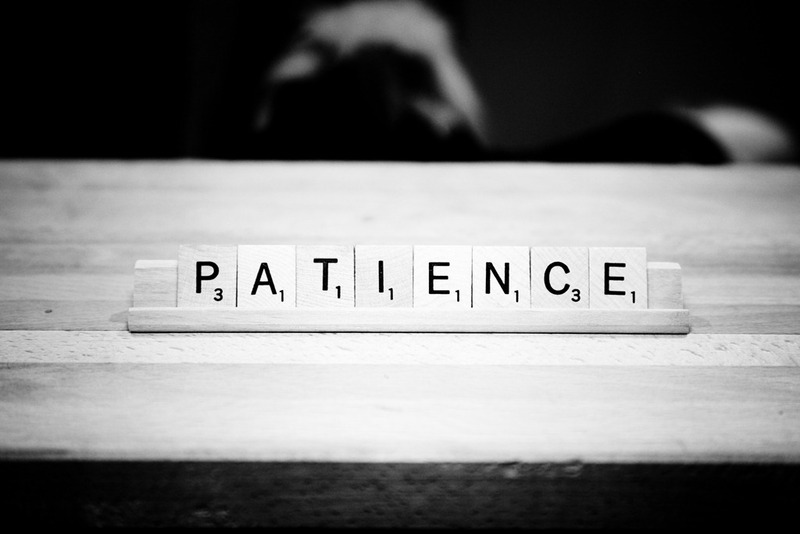 But how patient God is. How long He strives with them. How he sends prophet after prophet and chastening after chastening and blessing upon blessing upon blessing before He takes drastic action. And even then with the promise of abiding love and compassion, and a willingness to restore upon confession and repentance. As Tim Keller is wont to say, we are far more wicked than any of us dares to believe, and God is far more loving and gracious than any of us dares to believe.